Two children and one adult have been killed in a shooting outside a Jewish school in Toulouse, south-west France. Eyewitnesses said a man opened fire on people waiting at a school drop-off point and then fled on a scooter. 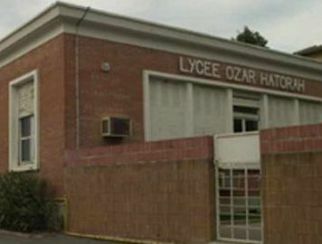 The attack is reported to have happened outside Ozar Hatorah school in the Jolimont area of the city. The latest incident comes days after three soldiers were shot dead by a man on a scooter in the same part of France. A 30-year-old paratrooper was gunned down in a residential area of Toulouse just over a week ago, while two soldiers were killed and a third wounded as they used a cashpoint in the town of Montauban, some 29 miles (46km) away, on Thursday. Local residents immediately linked last week’s attacks with the latest shootings. Christopher Bockman, a freelance journalist in Toulouse, said the soldiers who had been targeted were of ethnic origin and it appeared as if the gunman was deliberately targeting ethnic minorities in the area. He said the city was in lockdown as police scoured the streets for the culprit. A French television correspondent at the scene said a man on a black scooter opened fire, killing three people – including two children – and badly wounding several others. Interior Minister Claude Gueant has ordered security to be tightened around all French Jewish schools and is due to arrive in the city later in the morning, the AFP news agency reports.